History - Himalayan was created using the Persian, crossed to a Siamese. The idea is to have a Persian type body, personality, and features, with the color pattern of the Siamese. Colors and Coats Types Available - There are seal, blue, chocolate, lilac, cream, red points, and also all available in lynx (tabby). Coat is long, flowing and body is in contrast with body points. Grooming and Care - Himalayan coats come in silky, and cottony. Both require regular grooming to keep it from matting. Some prefer a "lion cut" when kitty is not to be shown, or for easy care. Best Suitable Environment - Himalayans can adapt to most any home, as they are docile, and get along well in many situations. Best if only living indoors, for ease of coat care. Personality Traits - The Himalayan is very loving and laid back, as it's Persian ancestry. They get along with kids, and other pets. They enjoy being spoiled and loved whenever possible. Himalayan Breeders: When choosing a breeder please use your better judgment and please read our valuable reputable breeder tips to guide you in finding your best friend. Please keep in mind that Kitty Cat Breeders does its best to maintain a reputable list of breeders; however we will not be responsible for any of their obligations or duties; buy responsibly. Himalayan Classifieds: Kittens for Sale - When choosing a kitten please use your better judgment and please read our valuable reputable breeder tips to guide you in finding your best friend. Please keep in mind that Kitty Cat Breeders does its best to maintain a reputable list of breeders; however we will not be responsible for any of their obligations or duties; buy responsibly. Kittens are here! 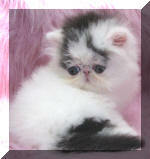 Please visit our website at karistakats.com to see photos of available kittens in NJ. 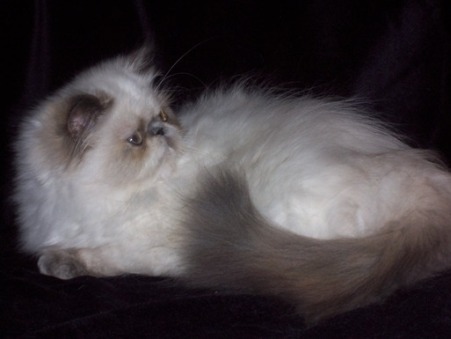 Beautiful Himalayan kittens for sale! 2 months old. White and orange fur color with golden ears. Playful, energetic, and potty trained! Health is guaranteed with a certificate of health. The best present for any occasion! Himalayan Classifieds: Retired Breeders/Cats for Sale - When choosing a retired cat/cat please use your better judgment and please read our valuable reputable breeder tips to guide you in finding your best friend. Please keep in mind that Kitty Cat Breeders does its best to maintain a reputable list of breeders; however we will not be responsible for any of their obligations or duties; buy responsibly. Himalayan Classifieds: Stud Services - When choosing a breeder for your stud services please use your better judgment and please read our valuable reputable breeder tips to guide you in finding your best friend. Please keep in mind that Kitty Cat Breeders does its best to maintain a reputable list of breeders; however we will not be responsible for any of their obligations or duties; buy responsibly.